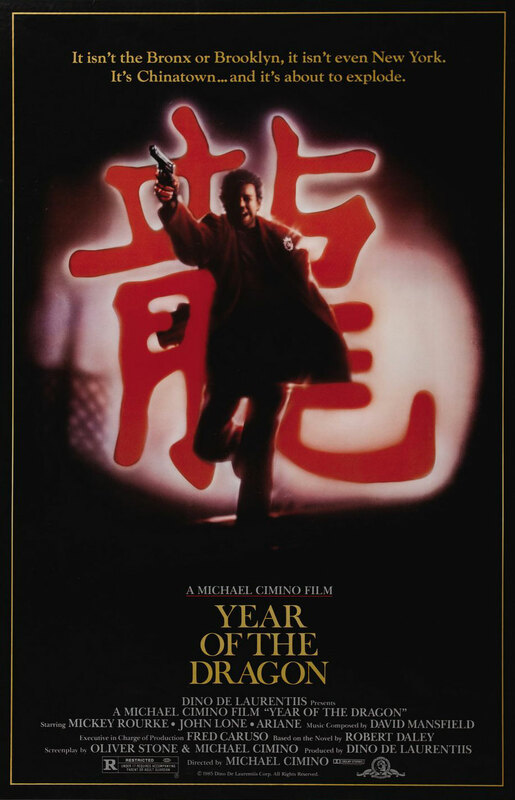 Very few films ever leave an impact on me the way Michael Cimino's Year of the Dragon did. It's become such a very rare feeling - to see a film and just be completely blown away, to have my senses obliterated by it's sheer epic and gritty realism. This film was also a turning point for me in regards to director Michael Cimino. I'll admit, I've never thought much about him. In fact, I've only ever seen The Deer Hunter. And with all that mess about Heavens Gate, the studio's collapse because of his fondness for going over-budget and over-schedule, I pretty much just labeled him as a pretentious hack. That is probably why I never really put much thought into this film until now. Nothing in particular pushed me to seek this out. I think I was just in the middle of my 80's Thriller phase, and when I saw all the talent involved like Oliver Stone writing, and Mickey Rourke starring, I dove right in and was hit like a punch to the gut by it's intensity, it's raw energy, and it's undeniable passion. Year of the Dragon is a brilliant tour de force in the crime thriller genre, and it's one of the best films I've ever seen. 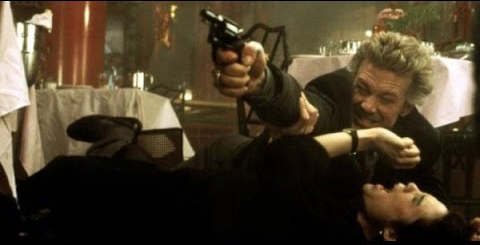 Essentially a story about a newly assigned detective named Stanley White (Mickey Rourke), who makes it his mission to take down the Chinese Triad and the Italian Mafia in New York with his unforgiving and no-holds-barred approach. But the film and story take on so many levels and veers off into so many different directions and stories that there's just so much more to it than that simple premise. Brilliant visuals. Year of the Dragon is a masterpiece. It's a hard-edged detective thriller that offers up ample amounts of gritty atmosphere and an unbelievable amount of talent behind the camera, courtesy of director Michael Cimino's superb camerawork. One of the things I noticed immediately was how chaotic every single frame is in this film. In each shot, whether it be in a city street, an office, an underground factory, a restaurant, there's so much going on in every single scene that it becomes intense and claustrophobic. Coupled with the fact that most, if not all, of these shots, including the ones confined to tiny spaces like an office, are shot using some impressive camera setups, you get the sense that a lot of the chaos in every frame is on purpose, which makes it all the more impressive. There are moments where the film feels like a gritty cop thriller, set in the underbelly of an Asian crime syndicate, and the film has a grittiness to it. Yet the camerawork never falters. Every shot is executed with such precision, that even the chaotic moments come out as beautiful. It doesn't always stay in the gritty though. There are moments where the film looks stunning. I could easily pick about a dozen shots that I could freeze-frame, and they'd be worthy as an art print on my wall. There's a scene in particular that just really took me by surprise, because had it been any other director, it wouldn't have even been a scene you would be able to remember because it's such a tiny moment in such an epic film. Detective White (Mickey Rourke) is standing on a New York City street at night looking at a dead body. Very simple and not at all interesting moment in an otherwise fascinating film. Yet, Cimino treats it like one by making this shot an incredible one. The camera placement, the lighting of the buildings in the background, the lens he used, the placement of the cars......it's all perfectly constructed to create a gorgeous shot, and this is really just the tip of the iceberg in terms of the look to Year of the Dragon. The style and tone of each shot shifts constantly visually, but it always looks this amazing. Mickey Rourke delivers. It really is a shame he didn't become the huge box office star he could have been. He has no one to blame but himself and his demons, but in an otherwise rocky rollercoaster of a career spanning 4 decades, the moments, films, and performances that shine the most will all come from his work in the 80's, with the exception of The Wrestler in 2008. When you see him in something from the last 10-15 years, it's shocking how different he looks. It's hard to look past the fact that his face just doesn't move due to the numerous plastic surgeries and see the performance. But it's films like this that really make you notice. Even though his character is easily one of the most unlikable you'll see, he carries it so far over to the other side that you kind of end up liking him. It's in films like this that remind me that he was easily the top of his class. He may not have gotten the big films and big paychecks, but he delivered the big performances nonetheless. Impeccable writing. Co-writer Oliver Stone was at the height of his creative streak, having come off of writing films like Conan the Barbarian and Scarface, he followed Year of the Dragon with other knockout's like Platoon and Wall Street. It's so surprising to me that this film is never mentioned as some of his best work. In fact, I had no idea he was even responsible for this until I did some digging. And after finally watching it and being blown away, again, I find it shocking that his screenplay for this isn't more highly regarded as a masterpiece of crime cinema. Michael Cimino's last screenwriting credit was the disastrous Heavens Gate, which was 5 years earlier, and we all know how that turned out. Yet here we are, a full 5 years later, and along with Oliver Stone, turns out a bloody, violent, and gritty masterpiece of crime fiction. It just blows my mind. Interestingly enough though, this would be his last screenwriting credit for the remainder of his career. The 80's gave us a tremendous amount of quality thrillers. In fact, as I dig through this enormous output of films I never got around to seeing back then, I'm realizing that the best ones came from this decade, and Year of the Dragon was one of the best. On the surface, it's easily dismissive. The poster art doesn't grab you, and you don't know anything about it right off the bat. Is it a period piece? Is it a drama? Action? Thriller? I'm sure that played into my not seeing it until now. Even then, when I finally put this on on a quiet Monday afternoon while home alone, I had no idea what to expect, no clue what was in store. And typically, these are the moments that a film will blow me away, which is ultimately Year of the Dragon did for me. There is no bad. Year of the Dragon is a masterpiece. By the time Year of the Dragon came out, Michael Cimino was all but a pariah in Hollywood. Ostensibly taking cue's from Stanley Kubrick, Cimino developed a work ethic not unlike Kubrick's. 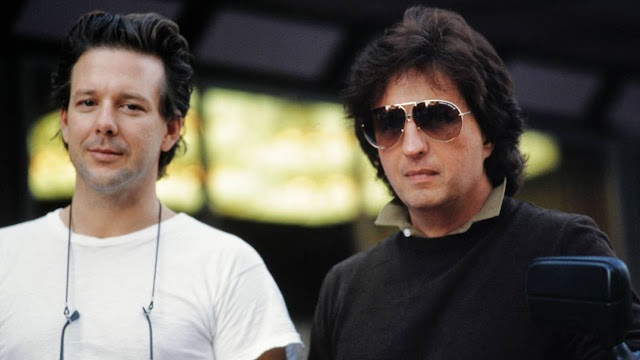 While Kubrick developed this reputation and earned it with hard work, "decades" of film-work, and much success, Cimino adopted the "perfectionist/authoritarian" approach to filmmaking early, but still saddled by producers who still had control over the production, much like the way Clint Eastwood did on Cimino's directing debut Thunderbolt & Lightfoot. But that would all change when Cimino directed The Deer Hunter in 1978, taking home 5 Oscars, including Best Director and Best Picture, which only fed Cimino's massive ego. When he was given more power and more freedom, he made Heavens Gate, which he released in 1980. Massively over-schedule and over-budget, the films success would have justified at least some of that. But instead, it was a massive flop, resulting in United Artists downfall, and Michael Cimino being ostracized from Hollywood. It would take a full 5 years for him to get another film made, which was 1985's Year of the Dragon. This time around he would have limits, and a budget. He would only go on to direct 3 more films after this, each with varying degrees of critical reception - none matching his Oscar glory of '78, before fading away into obscurity in 1996 after his last film. I fully believe he was as talented as Stanley Kubrick, and I believe that had he not been such a problematic individual and a megalomaniac, he would have continued making quality films without the status of being difficult. He came from an era of filmmaking where the director was the star, much like William Friedkin and Francis Ford Coppola, knowing no bounds or limits when it came to making something he wanted. His downfall though came at a time when studio's realized the error of their ways by fully allowing this, and effectively putting an end to it. It's a shame his career was overshadowed by his arrogance and overindulgence because honestly, he's one of the most talented filmmakers of his generation. There are many great articles you can find all about Michael Cimino, who became known as more of a mystery than for his films, especially in his later years. This one in particular written by Steve Garbarino in 2000 for Vanity Fair is the best of the bunch, so if you get a chance, do yourself a favor and read it. Who knows how far his talent would have taken him? Personally, I can only say I've seen The Deer Hunter and Year of the Dragon out of the 7 films he's directed. Despite it's insurmountable controversy, Heaven's Gate has since become a cult classic, embraced by cinephiles and critics alike, and considered by many to be a masterpiece, and I look forward to giving that one a watch at some point. I don't ever hear about how good the last 3 films are he made, so I'm going into them a little weary. But that's also what happened with Year of the Dragon, so I guess you never know. Here in the U.S., we've only ever gotten a single DVD release back in 2005. Thankfully it is in widescreen and does come with a commentary track by Michael Cimino. To date, we still haven't gotten a Blu Ray, which would really give this visually stunning film the makeover it deserves. I am aware of a Region Free Spanish Blu Ray you can get, but my Sony player is notorious for not allowing certain Region Free releases to work. You can stream it on Amazon and also buy it digitally there. 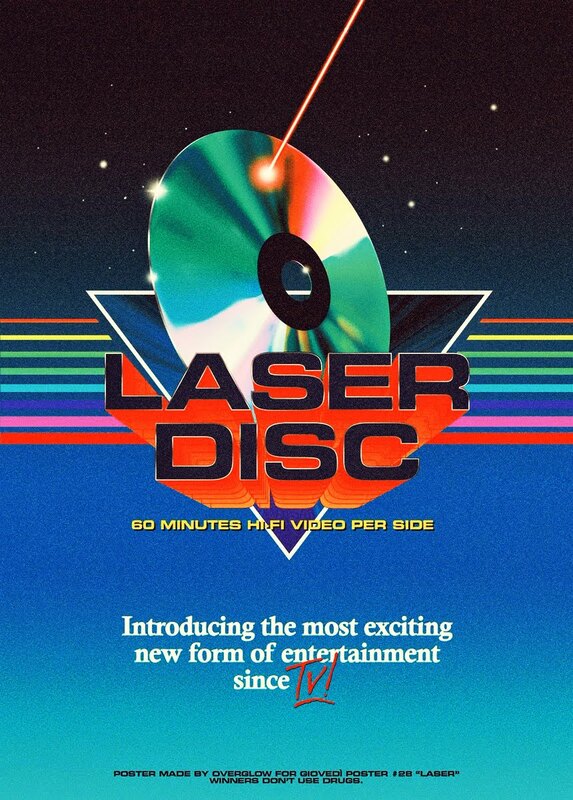 VHS and Laserdisc are other options. But really, this film begs to be seen in widescreen. It's the only way to do the film any justice.